TODAY’S LESSON: Don’t allow others to define you. Stop being defined by others. 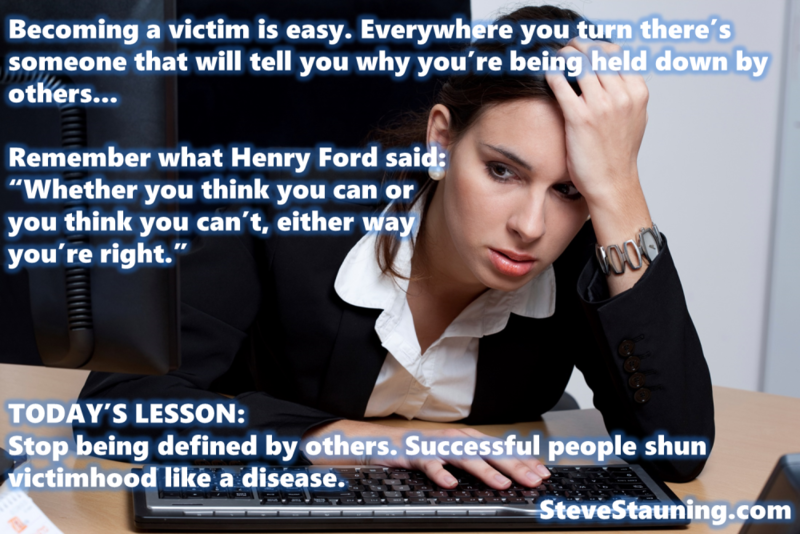 Successful people shun victimhood like a disease.